We begin our Royal Ascot prep with six days to go, and the desperately sad news that Sir Henry Cecil (known on this blog as 'Sir' Henry long before the knighthood finally arrived) has passed after a long and difficult battle with the other big 'C'. Condolences go to his family and friends. My heartfelt thanks go to the man for all the memories. He is the reason I got into this sport in such a big way. As they say, though, the show goes on. With a heavy heart, duty turns to the Royal meeting, and our prep kicks off with a look at the handicaps vs. non-handicaps. There are thirty races at Royal Ascot: 21 non-handicaps and just nine handicaps. Let's look at the handicaps first, covering the last five Royal Ascot's, and therefore forty-five races in this sample. The average number of runners in Royal Ascot handicaps between 2008 and 2012 was 21.6. Ostensibly, winner-finding in that context will not be easy. The average win odds in Royal Ascot handicaps between 2008 and 2012 were 12.68/1. The highest was 66/1 Cosmic Sun (King George V Stakes, 2009), while the lowest was Rainbow Peak at 13/8 (!) (Wolferton Handicap, 2010). The median win odds in Royal Ascot handicaps between 2008 and 2012 were 9/1. That is the mid-point in the range of winning odds from the 45 Royal Ascot handicap winners since 2008, and it suggests that - actually - it may not be so hard to find winners as field size implies. Indeed, 31 of the 45 handicap winners were priced at 12/1 or shorter. Only one horse aged older than six has won a Royal Ascot handicap since 2008. And only five horses older than five have prevailed. There were 96 horses aged older than six: one won. There were 215 older than five: five won. Nine clear favourites have won Royal Ascot handicaps since 2008, and they recorded a level stakes profit. From the 40 horses to be sent off clear favourite, nine won, recording a 7.63 unit profit. Based on the above, backing horses aged three or four, and priced at 12/1 or shorter would have won you 24 of the 45 handicaps (53%) for a level stakes profit of 5.13 points at SP. Focusing on those which finished in the first three last time out would reduce the number of bets while still winning 21 of the 45 handicaps (47%), and returned a profit of 34.13 units at level stakes. In Royal Ascot handicaps, back 3 or 4yo's priced 12/1 or shorter, which placed 1-2-3 last time out. There are 21 non-handicaps at the Royal meeting, meaning a sample size of 105 races over the past five years. 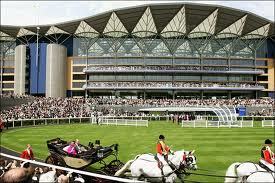 The average number of runners in Royal Ascot non-handicap races between 2008 and 2012 was 13.5. That's around eight less runners on average than the handicap races. The average win odds in Royal Ascot non-handicap races between 2008 and 2012 were 8.05/1. Flashman's Papers memorably won the Windsor Castle Stakes at 100/1, and even more memorably the great Frankel was 1/10 when winning the Queen Anne Stakes last year. They were the highs and lows in odds terms. The median win odds in Royal Ascot non-handicaps between 2008 and 2012 were 9/2. Wow. Out of those 105 races, 53 of them returned a winner priced at 9/2 or shorter. This game's easy, surely! Alas, no. That 50% of winners priced at 9/2 or shorter compares unfavourably with the 65% of non-handicap (and non-maiden) winners priced at 9/2 or shorter in the last five years. Ten Royal Ascot non-handicap winners since 2008 were aged six or higher. But, of those ten, six of them ran in one of the staying races: three each in the Gold Cup and the Queen Alexandra Stakes. At distances of less than two miles, just four horses older than five have won. Favourites and joint-favourites have won 42 of the 105 Royal Ascot non-handicaps since 2008. That's a 40% win rate and, what's more, it has shown a profit of 19.38 units for level stakes backing. Taking the best of the above leads me to horses aged five or less, which were sent off as market leader, or joint market leader. This group of 99 nags has returned 38 wins (38.38%) and a profit to level stakes of 23.53 units. Superb stats Matt. 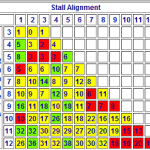 Easy on the eye, simple to digest and a definite pointer towards certain sectors within fields. Readers could not ask for any more. Great info Matt. Interesting read. Forget the stats etc today and reflect on the state of racing as it will be without Henry Cecil. How many trainers with big yards will there be about whom we can say that they never sent out a non trier? Great stats Matt, but answer me one question before I get too carried away with the prospect of a profit of 34.13 units to level stakes over 5 years for following the handicap system. Am I right in thinking that to have recorded this level of profit, you would actually have had to have picked all 21 winners? Now I don’t know how many runners on average would have satisified your criteria in each race, but given an average number of runners of 21.6 in each race, I’d wager that it’s at least 4 or 5, if not more. So you’d probably be doing well to have picked 25% of those 21 winners. Surely your profit expectation is nowhere near 34.13 units on this basis. I don’t really understand what you’re saying, so I’ll just go ahead and reiterate what I was saying! Basically, you might be backing more than one horse in each race. This is called dutching and it’s a well used approach by most professionals. So, for instance, in the Duke Of Edinburgh Handicap last year, you’d have backed two horses, one of which was the 11/2 winner. In the Buckingham Palace Stakes (Handicap) on the previous day, there was just one qualifier, which was a loser. In the Wolferton Handicap, there were two qualifiers, including the 3/1 winner. But, in the King George V Stakes (Handicap), there were five qualifiers, including the 12/1 winner. So, yes, you’d be backing more than one runner in each race, and that’s the way that the 34.13 units have accrued. Thank you for the further explanation Matt. by doing this and you’ve made it a lot easier. Thanks a lot, hope junior is taking note. How many of these handicaps are for 3 yo only?! A more interesting stat would be the 5 yo plus placed horses ( down to 5th as the huge fields now always pay on 5th somewhere ). There are plenty experienced older horses which do not win but get into the frame at a big price . Rex, You might think that’s a more interesting stat. Personally, I don’t agree. That’s by the by, of course, because we aim to please here. So, excluding bonus places (I can’t interrogate my database for that), I can tell you that older horses performed as follows. In all age handicaps at the Royal meeting, none of the nine 9/10yo’s have placed; two of the 23 8yo’s have placed; nine of the 64 7yo’s have placed; 23 of the 119 6yo’s have placed. Four and five year old’s do best in these races, amassing 81 of the 116 available place positions (70%). Thanks Matt. MUCH less interesting than I thought it would be but the 4/5 yo stat is interesting. I have been looking at the race schedule since my earlier mail and I see that of the nine hándicaps in the week there are three confined to 3 yo and one is for 4 yo only, and one is for 4 yo and upwards. I am not sure whether this allows for any refinement of the selection procedure or not but it leaves just four races that are open to 3 yo and upwards. Excellent stats & general information on horse racing’s Olympics .